Had about 10+ emails asking us for some comparison between Meizu MX and other top smartphones these days, so we figured out we would spend some time to collect the results of tests that are done by Chinese tech sites who have got their hands on the Meizu MX. So, most of our readers want to know how does that new eight megapixel sensor and f/2.2 aperture lens make MX an appealing upgrade from Meizu’s last generation Android phone M9. And most importantly, how does the MX’s camera stack up against competition with Apple’s iPhone 4S and the super affordable Xiaomi? Jump past the break to see the results, and check out “our” comprehensive MX sample gallery below. Before you read on, here’s MX’s camera specs: The MX comes with an auto-focusing f/2.2 lens with LED flash and a back-illuminated 8-megapixel (3264 x 2448 pixels) CMOS sensor that captures 1080p video at 30 frames-per-second. What’s more, the camera supports ISO range of 50-3200, offers stellar image quality, a decent 4x zoom, an optical image stabilizer, smile detection, HDR, and panorama mode. It’s probably the most tech’d out cam on our list. Today, camera specs for most of the latest smartphones look very similar: 8-megapixel sensors and HD video capture are standard-issue these days. Photo-retouching features are built into every phone or are offered in the ever-expanding universe of mobile apps. 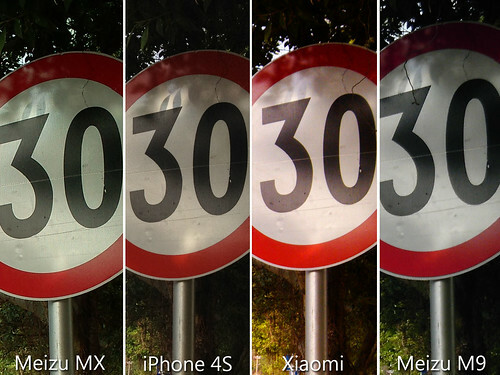 If we compared smartphone cameras based on their specs alone, we’d see a 100-way tie at the top. So, perhaps the only way to compare smartphone cameras is to put them through their paces and examine the results–and that’s exactly what we’ve done here. Our test cohort consists of the new Meizu MX, iPhone 4S, and the low-cost high-power Android phone that is widely discussed in China: theXiaomi phone. Moreover, in order to see how much the Meizu MX’s new camera has improved over the previous version, we included last year’s Meizu M9 in our test group. We were pleased with the MX’s 1080p HD video, which looked smooth, sharp and vibrant. However, there’s a minor problem. The MX’s camera appears to “squint” briefly when you start recording. 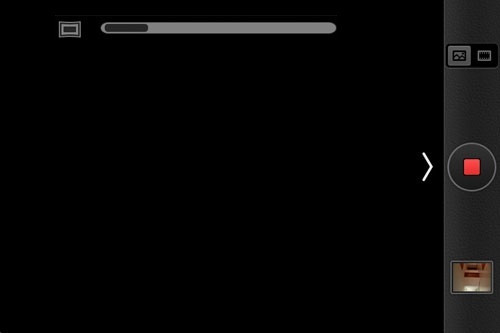 Just watch the above video and the video below to see the problem. Don’t blink your eyes at the first second of the videos! See that problem? The MX’s camera will somehow re-focus at the first second of the video-recording. As for the video quality, it performs well in bright-light situations, but not for low-light situations. Next, MX owners will need to keep in mind that higher-res video means much larger file sizes — a two-minute video that a person shot with the MX is 276MB. Those eight megapixel photos take up more space too — a 1.1MB five megapixel M9 photo was 2.1MB on the MX. Check out the table below to see how file sizes stack up against the other cameras in our showdown. The Meizu MX is quite a pleasure to shoot with. The camera is ready to capture its first image within a second of launch, and tapping to focus after recomposing is painless and speedy, but not as fast as iPhone 4S. Panorama shot taken with MXMeizu MX’s new camera app is incredibly quick and borrows a lot of functionality from existing third-party Android shooters, such as touch-to-focus, continuous autofocus, face tracking, zero shutter lag and panorama. The panorama mode is real easy to use, you can take panoramic photos with one simple motion: Sweep. 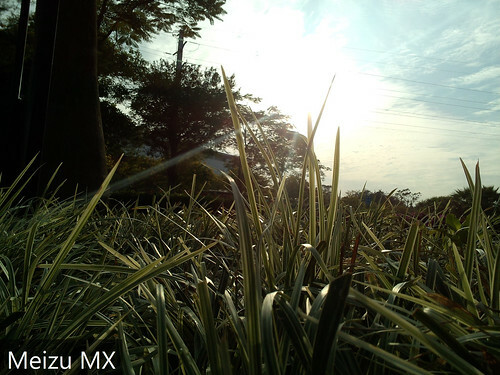 Meizu MX’s panorama modeWith the sweep panorama, the user only have to sweep the camera to capture the panorama. The quality of the panorama is satisfactory (as you can see below). 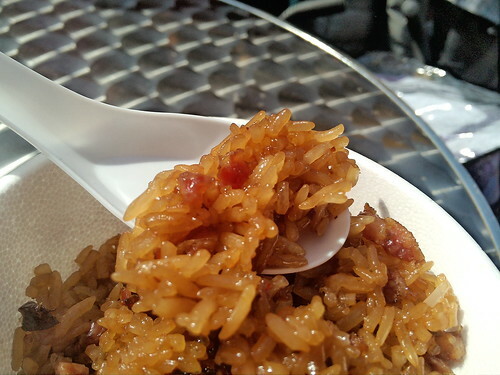 Photo taken with MX, 6cm away from the foodThe focusing lens in the MX camera allows one to get within two or three inches of a subject. That is actually not impressive since the iPhone 4S is able to do that too. 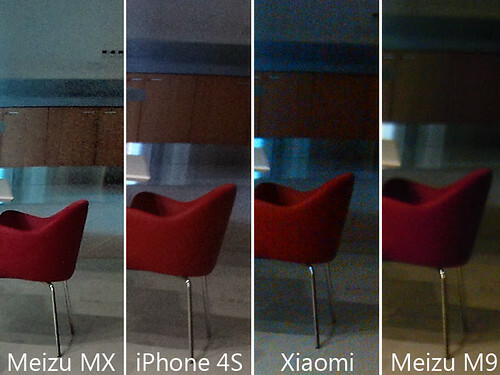 The Meizu M9 has a good camera, but it was always lacking in low light situations. One would be excited to test out the MX in low light since it’s equipped with an f/2.2 lens and better sensor. You’ll be able to snap higher quality photos in low light. Its image quality rivals many point and shoot cameras in most conditions, though if you tend to shoot in the dark, you’ll want a dedicated camera with a more powerful flash. The above photo comparison shows the MX performs slightly better (see the cabinet behind the red chair) than the others at indoors. Meizu MX is using a newer backside-illuminated sensor that’s more sensitive to light in addition to upping those megapixels — and we must say, pictures on the MX look as stunning as pictures taken from iPhone 4S. The shots looked good right out of the gate, but we see a problem: inaccurate white balance. However, the MX is able to take completely useable and even handsome photos in fairly low light without the flash. But we also noticed that bright images exhibit some haze. Autofocus worked well in most situations. There’s never been a better time to use the MX for taking indoor photos.